I initially tried this as a sample and loved it. You need very little to cover; it blends well whether you use a brush or your fingertips. Lasts all day. I don't need touchups and the matte effect really works. It is the longest lasting foundation I've ever used. Goes on easily over my morning skin care serum and moisturizer. And since you only need a little, one tube lasts a long time. The color works well with my fair complexion and for all the benefits and how long it lasts, the price is just as exceptional. This moisture formula is great for skin with fine lines and on the dry side. Don't order the matte finish if your skin is on the dry side because it is very dry and defines lines. 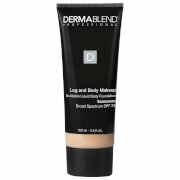 This moisture formual keeps skin dewy in appearance and the color blends well. Pricy, but haven't found better yet! When I received my first tube of this product, I was surprised at how small the tube was! You don't get alot of product for your money. Its true a little goes a long way, but it would be nice to get a little more product for the price.Best coverage I've ever experienced, and the stuff does NOT come off - not in humidity, sweating, etc. 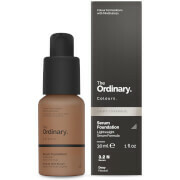 It has SPF which eliminates another step in the am, and does not cause breakouts.Though I love the matte finish, the foundation is a little bit dry, so it seems to work best when applied right after moisturizer has been put on the face. Can look a little cakey or fakey if you put too much on as well. The best foundation I have ever tried and I have tried them all (Armani, Chanel, YSL, Guerlain etc.) It covers, lasts and looks like you're wearing no makeup at all!! Best of all it does not cause breakouts!! Love, love, love it!! I will never try another!! 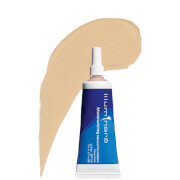 Thanks Illuminare!! I love this foundation, for light coverage I mix it with a little moisturizer. It stays on all day. My skin looks great. Perfect in every way...this foundation requires a very small amt to give you a flawless, airbrushed look and itt doesn't break out your skin. I constantly get compliments on my skin when I wear this..and it stays/doesn't melt off/no heavy or greasy feeling: so amazing,| there's just not anything out there like it and it's SPF 20 to boot! I also use their application pads to apply it (leopard print) as they make applying so quick and easy with beautiful results, it's the perfect combination: better even than w/ the best foundation brush you can find. Flawless looking.. plus, you don't feel like you're wearing anything at all! I'll look no further, it's perfection! This really is a fantastic product. It doesn't give you that " shiny " look that some mineral powders can give you. It's easy to apply, it stays on even in hot, humid weather. You can mix it with moisturizer or use it as a concealer. It gives you a very natural look with minimal work. Im done looking for my PERFECT foundation. All day coverage with no break through oilies. And it doesnt make you break out. Flawless airbrush finish that lasts. LOVE IT!!! Stand up to its name! This foundation stands up to its name...ALL DAY! You have no need to powder no matter what. And it didnt make me breakout. Im no longer looking for "the perfect foundation".